4 Commercial Real Estate & Properties in Cromer are listed in 2 categories. We have 4 Industrial Warehouses Sale and 1 OfficesSale . Located on Orlando Road near its intersection with Inman Road. Cromer is approximately 20 kilometres to Sydney’s CBD, with easy access to arterial roads servicing the Northern Beaches.Cromer has emerged as a prime industrial suburb playing host to Pirelli, Roche, Roband and Energy Australia. It is now frequently sought after as a less congested and more conveniently accessible alternative to Brookvale. Unique industrial opportunity to acquire quality freestanding industrial zoned land with excellent street frontage & exposure to Orlando Road. Unique renovated improvements providing office / caretakers residence/ storage with great rear yard. 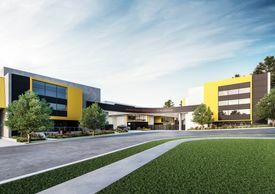 Surrounding development comprises office and warehouse industrial facilities with several Modern Industrial Strata Estates occupied by major International and National Corporates together with Government Agencies. This property offers a rare virtual "blank canvas" for a General Industrial zoned site in which you can add to the existing renovated improvements, redevelop completely or occupy as is. The adjoining property may also be available for sale if required. “the Vault” Strata Storage Units With High Clearance! STARTING FROM $120,000 (e..